There is a Design Team Reveal on the Just Imagine Crafts/ Kreaxions Blog today. I created this card using the Kreaxions 4 in 1 punch #905, the Circle Cutter, Stencil A and Positioning Parts 8cm (small). I love the detail this punch provides! Be sure to check out the blog to see what the rest of the Design Team Created. I’m sure you’ll be inspired! This past weekend I put some time aside to work on some of the challenges for the March Mini Crop at Turtle Soup. 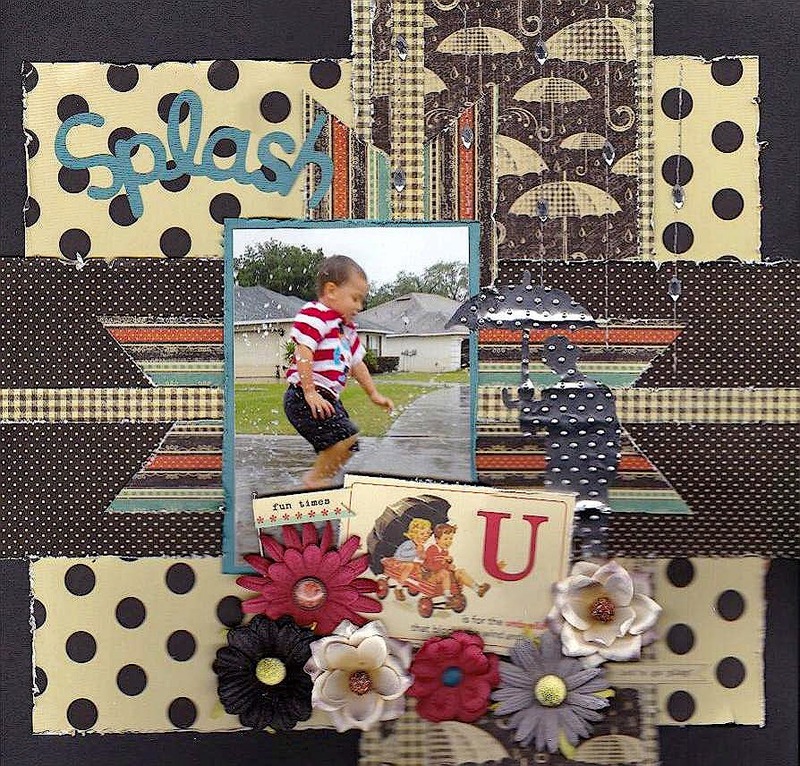 Phillis has an easy challenge posted - to use a mask and paint on your page. 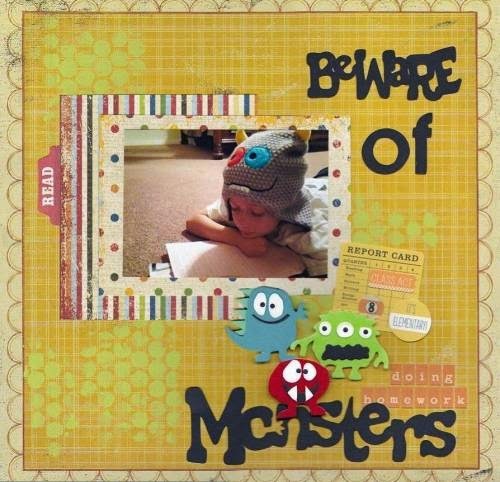 I completed this page for Joshua’s album … love him in that little monster hat! All of the supplies are from my stash. I’ve had those little monster embellishments for a couple of years (or longer). I knew they would come in handy. I have two projects to share with you today. First up is a design team project for the Just Imagine Crafts/Kreaxions Punches Blog. 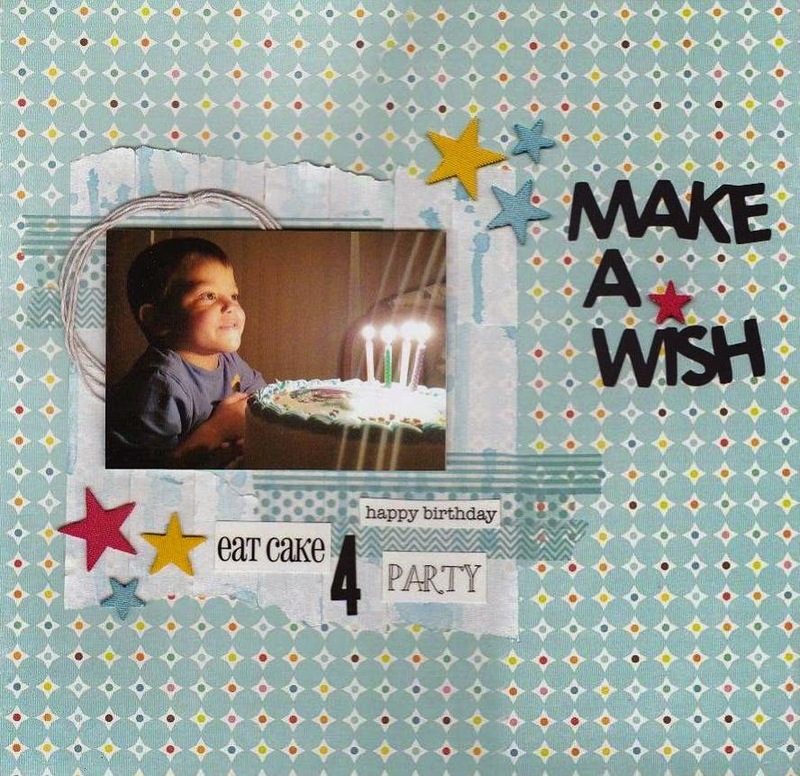 I created this “thinking of you” card using the Kreaxions 4 in 1 punch #906 with the A insert and the Star Stencil. After punching the star with the punch I embossed it using my Cuttlebug and then cut it in half. I then added the doily to the top of my banner and added the flowers. I don’t know about you but I think this card says “Spring” in on the way. Next up is a design team project for the Turtle Soup March Mini Crop. For the March Mini Crop I completed a layout. All the supplies I used I had in my stash (still working on using up all those hoarded supplies). I created the mat for the photo by using: masking tape, Gesso, and some Tim Holtz Distress Stain. My challenge for you is to complete a layout, card, ATC or altered project using tape … any kind of tape. Check out the details for the Mini Crop here. I placed long strips of masking tape on an old plastic placemat (from the dollar store). I then painted the strips of tape with Gesso. I let the Gesso dry completely. I dapped the distress stain on my craft mat and added a few drops of water to it. I splashed and dripped the watered down stain onto the strips of tape. (I actually propped the mat up and let the stain run down the tape.) I let the stain dry before I peeled the strips off the placemat. I adhered the masking tape strips to my paper, tearing the tape and placing it in random order. I then added washi tape and the embellishments to finish the layout. Did you ever see a photo and instantly have an idea of how you were going to scrap it? When I saw this adorable photo of Isabella (Kyle and Marion’s daughter) I knew exactly what papers and embellishments I was going to use (and all from my stash). I love it when projects just fall into place! I LOVE Tim Holtz supplies and have been stockpiling them … thinking that one day I’d have enough time to play with them. I finally decided that unless I just set my mind to it and put some time aside it was not going to happen. So last weekend I viewed the Tim Holtz Blog and got some ideas. I worked on this tag a little every day this past week (oh how I hate drying time). Needless to say I had so much fun making this project! All the inking, painting and distressing was so satisfying … it was the creation process that gave me the most pleasure, not the results. I picked up 3 old books at a thrift store for 30 cents (what a bargain) and tore off the covers. I placed the tag on the top book and wrapped the books in about ten cents worth of twine. Lovin this little home décor project! Today is Friday and I have a Design Team Project up on the Just Imagine Crafts/Kreaxions Blog. I purchased the Cricut Tags, Bags, Boxes and More 2 cartridge and was surprised that it came with 2 booklets (the image booklet and an assembly instructions booklet) and very little instructions! Who knew you were suppose to get the Cricut Scoring Tool to use with this cartridge … not I!? Thank goodness for Google and people who post tutorials ... bless them! It saved me from being frustrated and I learned a few new things. So … that brings me to my project. The cute little dress box. I used the Kreaxions 4 in 1 punch #903 to take the dress box to a fancier level. I punched border strips and cut them to fit the shape of the dress box. I added some pearls from my stash along with a piece of ribbon and a flower. Wouldn’t these be cute bridal shower favors?! 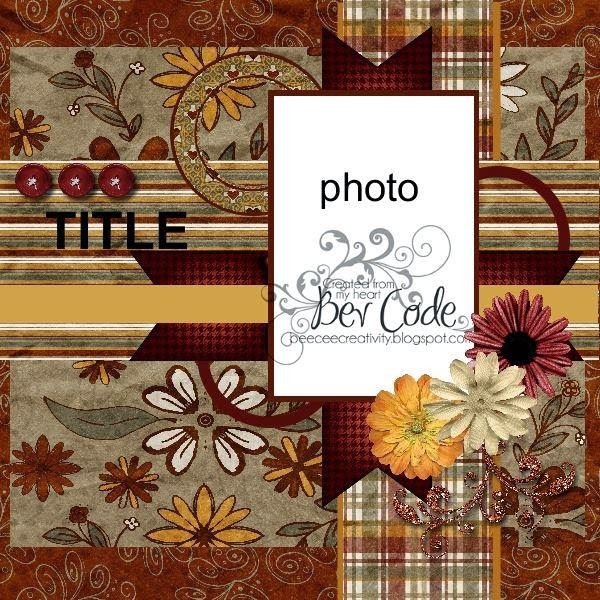 Love the elegant detail the border strips added to this project. Sharing a Design Team Sketch Reveal for Turtle Soup today. Design Team did with the Sketch - and be inspired.